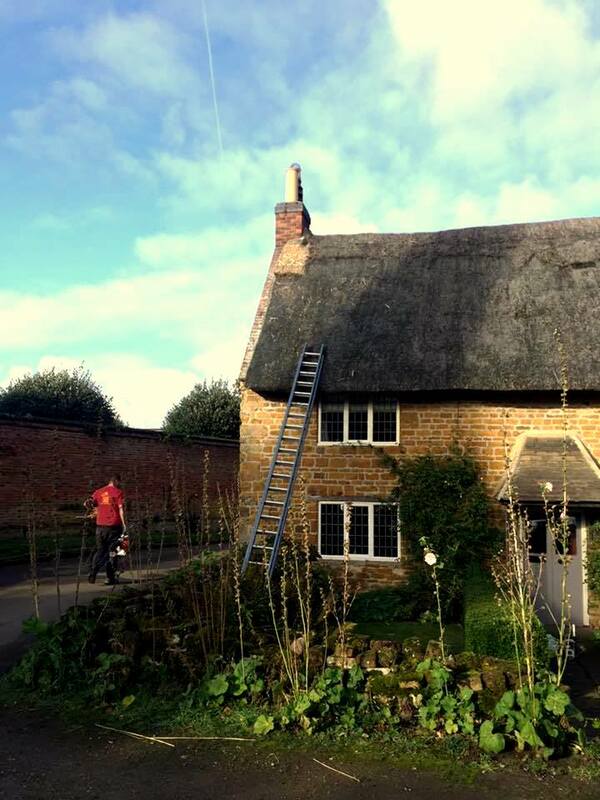 It has been a busy Saturday for Liam and Jay, working on some chimney aprons on this property near Market Harborough. 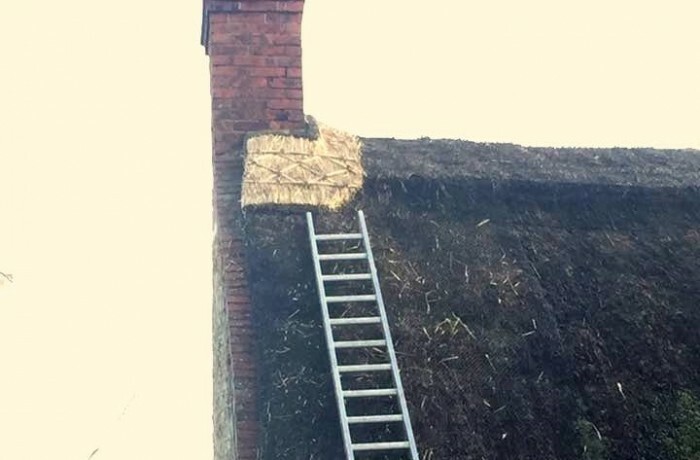 We were already booked into Re-Thatch this property next year; however, we had spotted a few issues on the initial inspection. 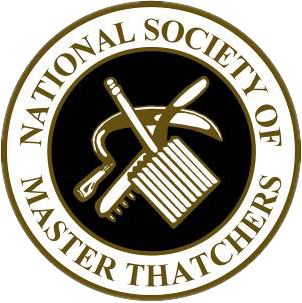 We wanted to fix these issues before next year as they could worsen over the winter period and cause leaks. Creating chimney aprons will make sure the property stays watertight through the next year. 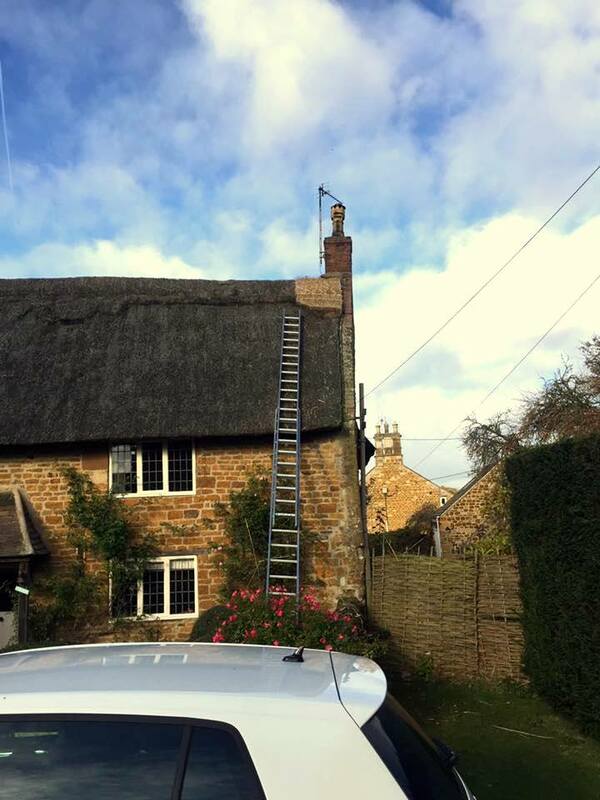 During our inspections of properties, we fix any issues no matter when we have booked you in for a full re-thatch we can squeeze in smaller jobs to protect your home in the meantime. There are many different causes for getting thatched roof repairs for example birds or other animals can damage the thatch, fire damage, leaks, moss growth or the environment surrounding your property can affect how many repairs your roof may need. Get in touch with Heart of England today whether you need a small or large repair to your property.